Welcome to the first November Gobbler Gaming Giveaway (NGGG)! NVIDIA, the Tegra Zone and Droid Life are on a mobile gaming inspired mission to get brand new tablets in the hands of as many of you as we can. Over the next month you will have the opportunity to win 1 of 4 Tegra 2 powered slates (a couple of bonus packs as well) so that you can enjoy some of the console-quality games that have/will be hitting the market over the next few months. 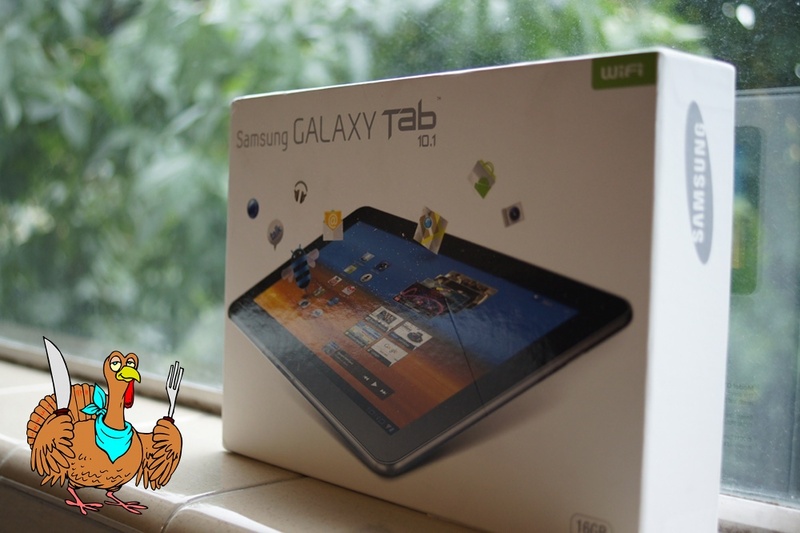 For our first week, we have a Samsung Galaxy Tab 10.1 up for grabs. We reviewed this tablet already, but wanted to reiterate the fact that this might be our favorite Android tablet of them all. It’s ultra-slim, weighs practically nothing, and has one of the more vivid and beautifully 10.1″ screens you will see on any mobile device. Plus, with its dual-core processor (Tegra 2), 1GB of RAM and sleek look, it will take you into the future even as we see quad-core tablets around the corner. 3. In the comments, tell us what your favorite Android game is, right now. You will have from the time of this posting, through Friday (11/4) at noon (12PM Pacific) to enter. One winner will be picked randomly on Friday (11/4) at noon and announced shortly thereafter. Since this contest is based around Twitter, the winner will be contacted via Twitter. *Note – For those that are not fans of Twitter, just know that this will be the only contest of the 4 that will require you to enter via Twitter. Next week and thereafter you will have opportunities through a variety of outlets. Huge thanks to NVIDIA for hosting the prizes!